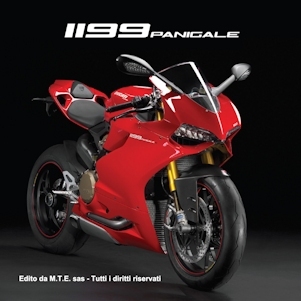 This collection book, unique in its kind fully realized by brand new photos with didascalic descriptions, analyzes in deep the technique of Ducati 1199 Panigale and its revolutionary engine “SuperQuadro”. The outstanding photographs, describe the chassis, the electrical system and the brand new 195 horse power engine. Descriptions are both in Italian language and English language. Note/Notes: Spese di spedizione per l’Italia incluse, pagamento in contrassegno. / Shipping to Italy included in the price. This entry was tagged 1199 Panigale, Ducati, Superquadro.